Meet your coach and driver at Coláiste Pobail Osraí and depart at 09.00 sharp for Belfast city. Journey time is approximately 4 hours and there will be the possibility to make a stop for 15 minutes along the way at Lusk Service Station. On arrival to Belfast at approx. 14.00, visit the W5 Exhibition, located at the famous Odyssey Arena, it has over 250 amazing interactive exhibits in four exhibition areas. The exhibition provides a unique experience as well as fantastic fun for visitors of all ages. In addition to permanent exhibits, W5 also presents a changing programme of large and small scale temporary exhibitions and events. There is a daily programme of live science demonstrations and shows throughout the day. W5 at Odyssey, 2 Queen’s Quay Belfast, BT3 9QQ, Tel: 048 9046 7700. Located down the road from the Odyssey Arena is the redeveloped Titanic Quarter where the new Titanic Exhibition Centre is located. Behind Titanic Belfast you can walk along the slipways where Titanic was built and launched nearly 100 years ago. See were Titanic first touched the water back in 1911. The Slipways have since been restored and now play host to a variety of open air concerts and events. · Depart at 16hrs for Stormont Parliamentary buildings. You will have time to take some photos and see the grounds. Depart Stormont at 17.00 and transfer to the hotel for check-in. · Dinner will be served in the hotel at 17.30. · Depart hotel by coach at 18.30 and return to the city centre for some late night shopping. Victoria Square Belfast is home to over 50 stores including House of Fraser, Topshop, Cruise, Reiss and H&M. Shops are open until 21.00 tonight. The coach will collect you at 21.00 and return you to your hotel. Following breakfast served at 8.00am, check out of your accommodation. Depart hotel by coach at 9.00am. First on the agenda will be the Black Cab tour at 9.30am, where you will get up close and personal to many of Belfast’s most historical areas. Start your tour in the City Centre, then move through the Shipyards and see where HMS Titanic was built and launched from. See the political districts which have bore the brunt of conflict over the last thirty years along with the Peace Line before seeing the elegant University Quarter and Museum district. The guides are generally locals and have fascinating stories. The duration of this tour is about 2hrs. You will be met at the back entrance of City Hall (on Donegall Square South) in the town centre. 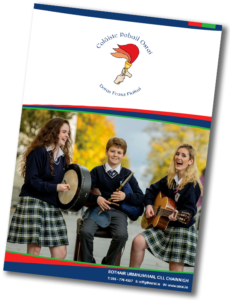 Following your tour, your coach will then transfer you to Coláiste Feirste where a visit has been organised for the group by your teacher to this Gaelcholaiste. Student activities (directions: on the White Rock Rd, off the Falls Rd). Address: Coláiste Feirste, Teach Ard na bhFeá, 7 Páirc Radharc na bhFeá, An Ceathrú Gaeltachta, Béal Feirste BT12 7PY. Tel: 048 9032 0707. At 14hrs transfer by coach to the Titanic Exhibition Centre. A reservation has been made for your group at 3pm. Please note you must arrive at Titanic Belfast no later than 15 minutes before your allocated time slot. The museum has over nine galleries, exploring the Titanic story from her conception in Belfast in the early 1900s, through her construction and launch, to her infamous maiden voyage and catastrophic demise. The journey goes beyond the aftermath of the sinking, to the discovery of the wreck and continues into the present day with a live undersea exploration centre. You will have 2 hrs free time in the museum.